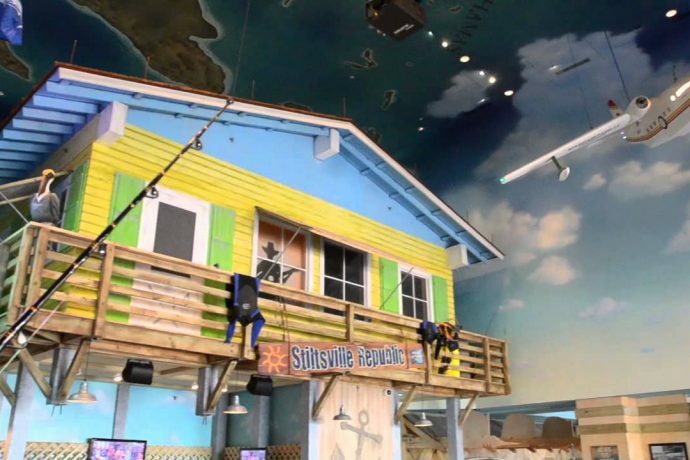 The $35 million project, inspired by the lyrics and lifestyle of Buffett’s ode to beach bums, will include a Margaritaville restaurant, Five o’Clock Somewhere bar, themed gaming area, two retail stores and a coffee shop, all on the property’s land side of the Boardwalk. On the other side of the Boardwalk, the LandShark Bar & Grill will be situated on 200 feet of beach frontage at the site of the old Steeplechase Pier. It will be the only year-round, full-service bar and restaurant on the beach.